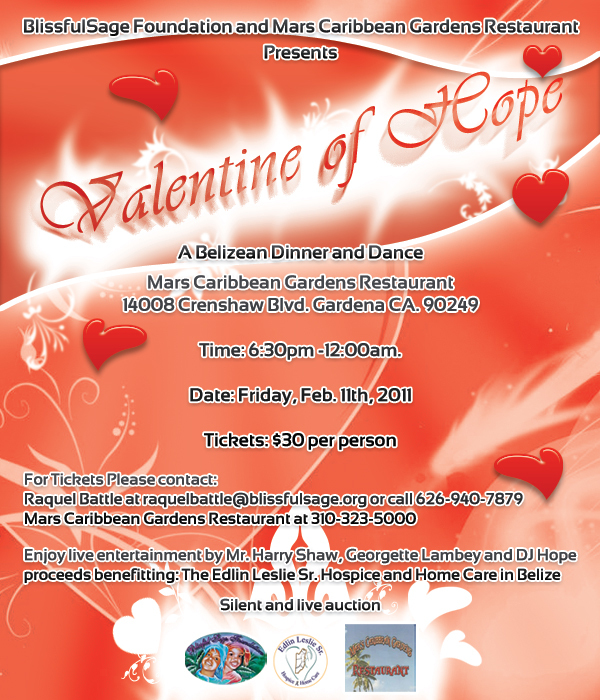 Inviting all Belizeans in Southern California to come out and support The Blissfulsage Foundation. Raquel Battle and The BlissfulSage Foundation Inc. supports individuals and communities in rural areas of Southern Belize. The foundation is committed to raising awareness of prostate Cancer, Cervical Cancer, HIV, and Diabetes. 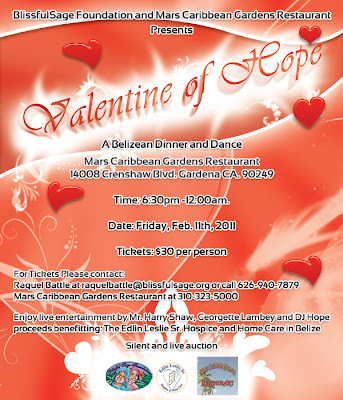 Proceeds will also support the establishment and maintenance of The Edlin Leslie Sr. Hospice Care program and Project Ensure: An initiative of the Blissfulsage Foundation providing financial support and nutritional supplement (ensure) for children and adults living with Cancer.